After two days of travel we have made it to the village. Friday we traveled to Anchorage from Atlanta. It was a long but easy flight. Once we landed we went to the block party hosted by our ministry partner in Anchorage, called Graceworks. Our first night in Alaska we had dinner at a Mongolian restaurant. After a stop off at Walmart to pick up last minute things that we forgot we spent the night at a church. When we woke up we saw a moose and her calf at a park around the corner. Saturday we began our travel from Anchorage to Ambler. Just to mark the difference between the two places, it is the same distance between Atlanta and Pittsburgh. We flew on Alaska Airlines through Nome to Kotzebue. That was our first steps in the arctic for most of us. After a short layover we boarded the Era flight to Ambler. You may have seen Era on the Discovery Channel show "Flying WIld Alaska." It was the most fun flight of our lives. They stayed at an altitude of 750 feet the whole way. 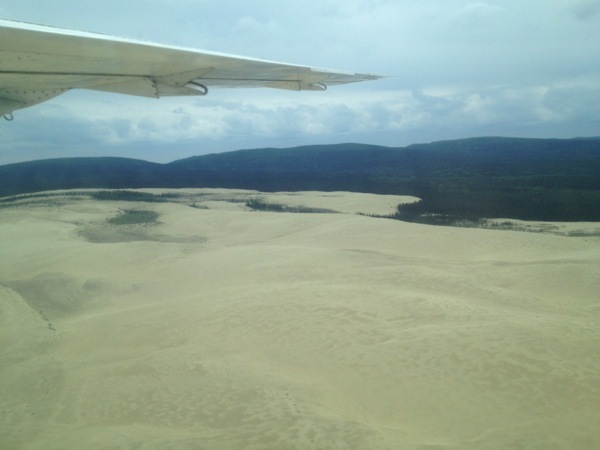 We all saw wildlife as well as an area that looks like the Sahara desert. It was a beautiful flight and the smoothest of the entire trip. Once we got off the plane in Ambler we were greeted by a swarm of mosquitos that were similar to a plague from Exodus. They are EVERYWHERE. After unpacking in the teacher's apartments we got to spend some good time with the missionaries Paul and Glenda. We all slept like rocks after two long days of travel. Sunday we went to two church services; the Friends church in the morning and the Baptist church in the afternoon. Both were wonderful. Brian and Ryan both spoke at the Friends church and Brian preached last week's JFBC message on Elijah's struggles at the Baptist church. All the people we have come in contact with so far have been just great. We are thankful to be here and getting started. Please pray for us as we start our VBS ministry tomorrow. Please also pray for our health as we are getting used to the time change, 24-hour sunlight and a new climate. Please also pray for us to connect with new friends and old. Thank you for checking in on us and most of all for praying for us.